MUD GRIPPER M/T All Season / All Terrain Tires by Fuel. 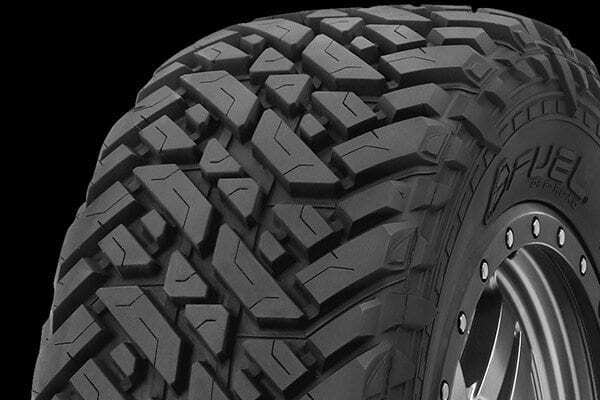 Drive to the challenging trails with less noise and better road manners with these unstoppable off-road tires wrapped around your wheels. The parts have super strong 3-ply sidewalls to resist bruises and cuts no matter how sharp the edges of rocks are. The Fuel Off-Road tires deliver on all fronts. They feature a deep lug thread for excellent traction, and tough, reinforced sidewalls for stability, strength, and longevity. A sturdy three-ply carcass ensures exceptional puncture and bruise resistance. As a result, you get tires that perform on all terrains and in any weather conditions. Enjoy a more precise steering response and better cornering control wherever you drive with the Fuel Mud Gripper tires. 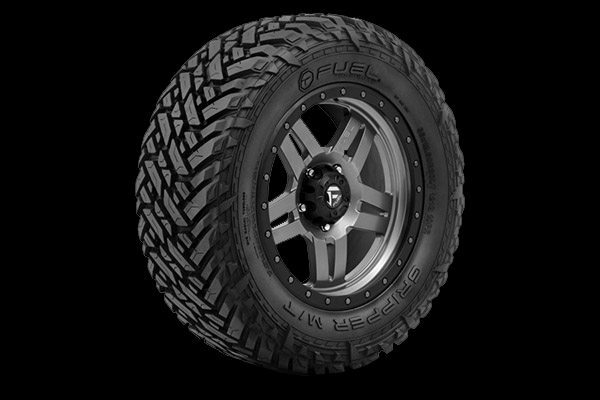 If you’re a serious off-roader, these no-limits tires by Fuel are the perfect choice for you.